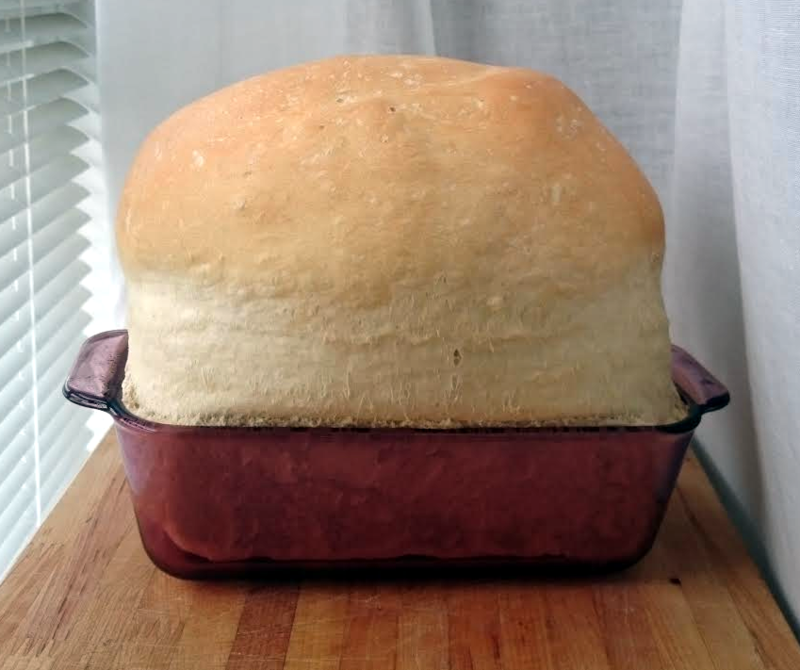 This simple and plain white bread is for the bread machine. Nothing smells better than bread baking, specially on a wintery snowy day! True, those kinds of days are a bit more rare when you live in the warmest place in Canada. But we still end up with a few of them. When I make this recipe, I like to put it on dough setting on the bread machine, then form the loaf and pop it into the oven to bake. I don’t have a nice picture for this recipe as my bread went bananas when it rose. When I took it it out of the baking dish, it basically started to collapse on itself from being too big. It made for a wonderfully fluffy bread, but I ended up laying its on its side. Layer the above ingredients into bread machine in the order they are listed. Set bread machine on dough setting. When cycle finished, remove, form into shape, place in a bread pan and let rise for approximately half an hour. Bake at 350°F for 30 min.